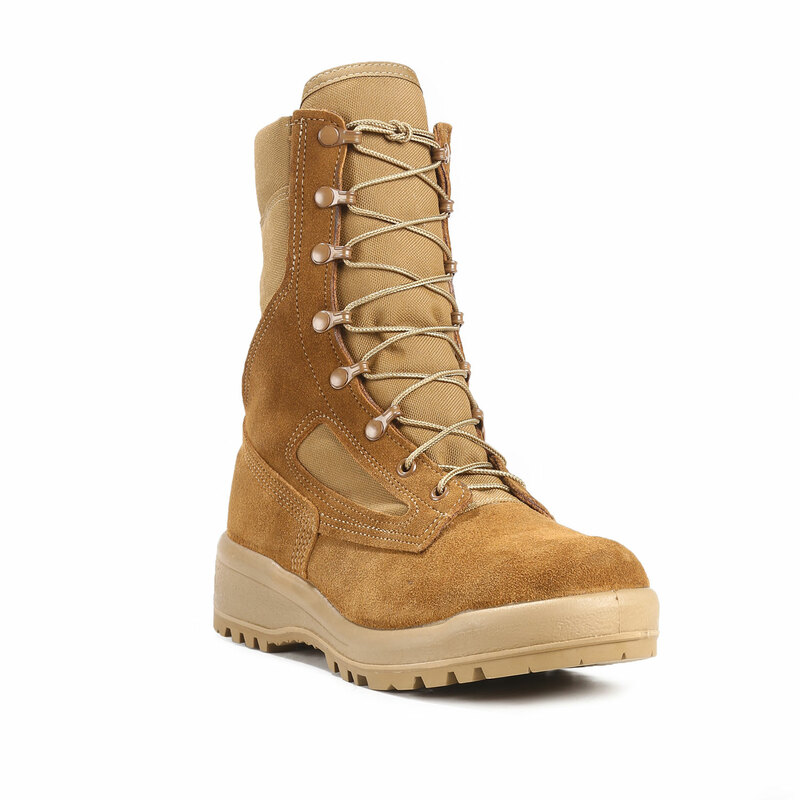 Tackle tough turf and tough temperatures with Belleville’s most recognized footwear. 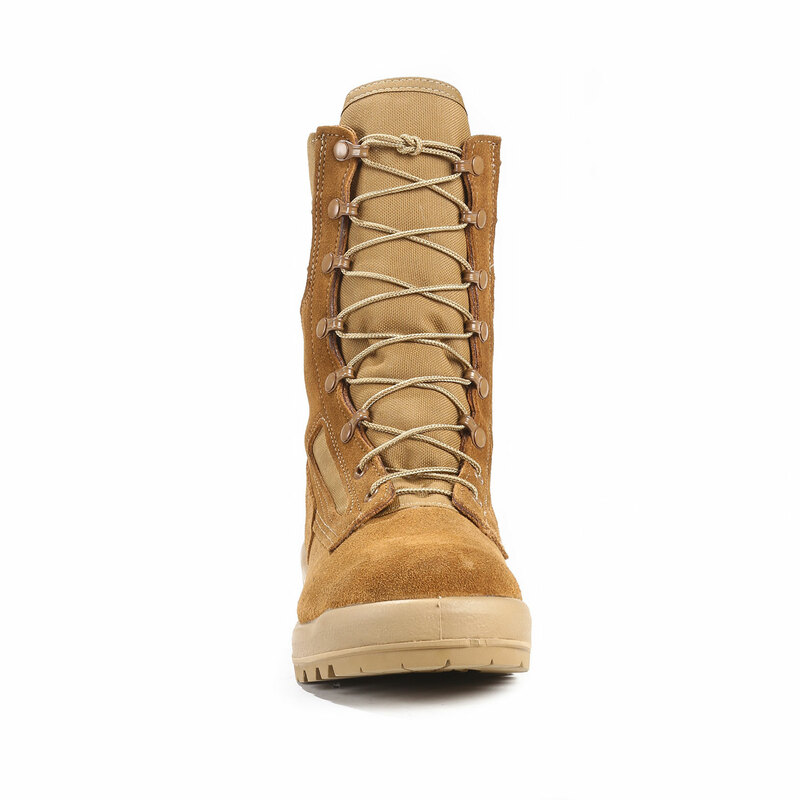 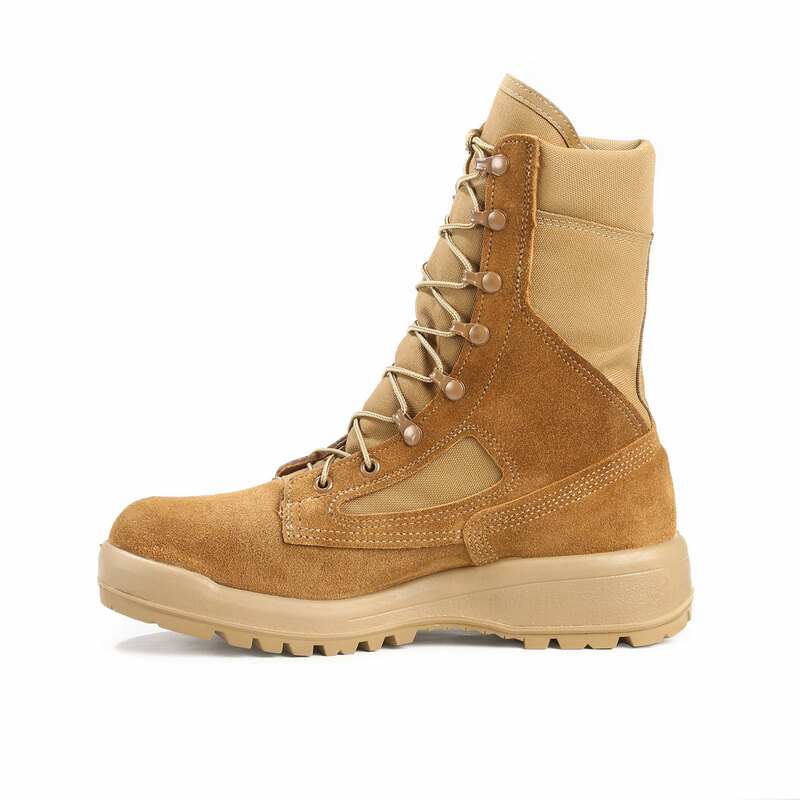 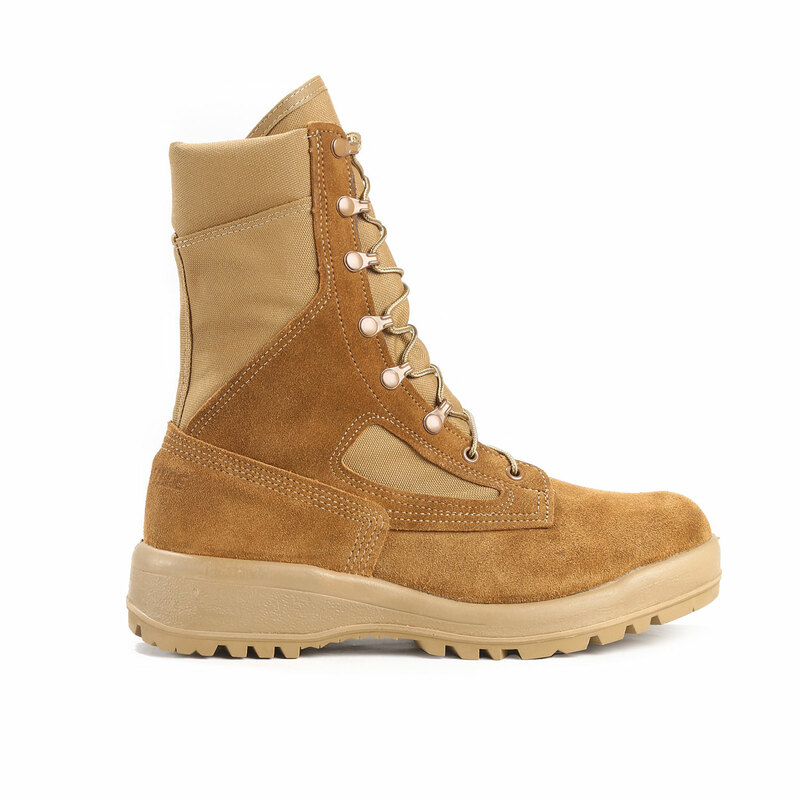 When first introduced with the Vanguard® cushioning sole system, the Hot Weather Combat Boots transformed military footwear by crafting combat boots with more of an athletic shoe feel. 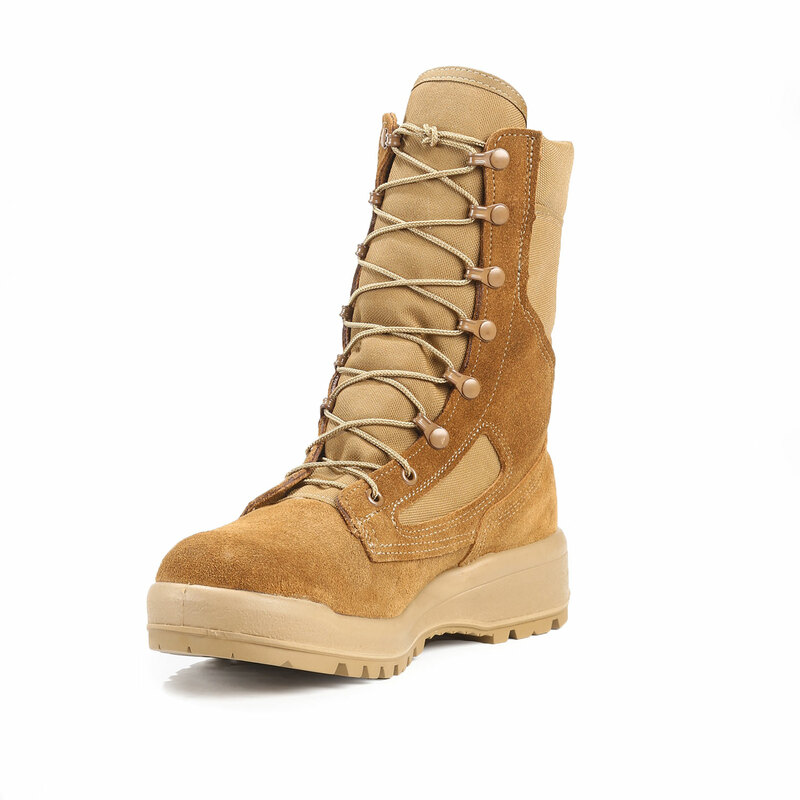 Stabilizing features, superior shock absorption and aggressive traction make these classic boots the ideal tactical partner. 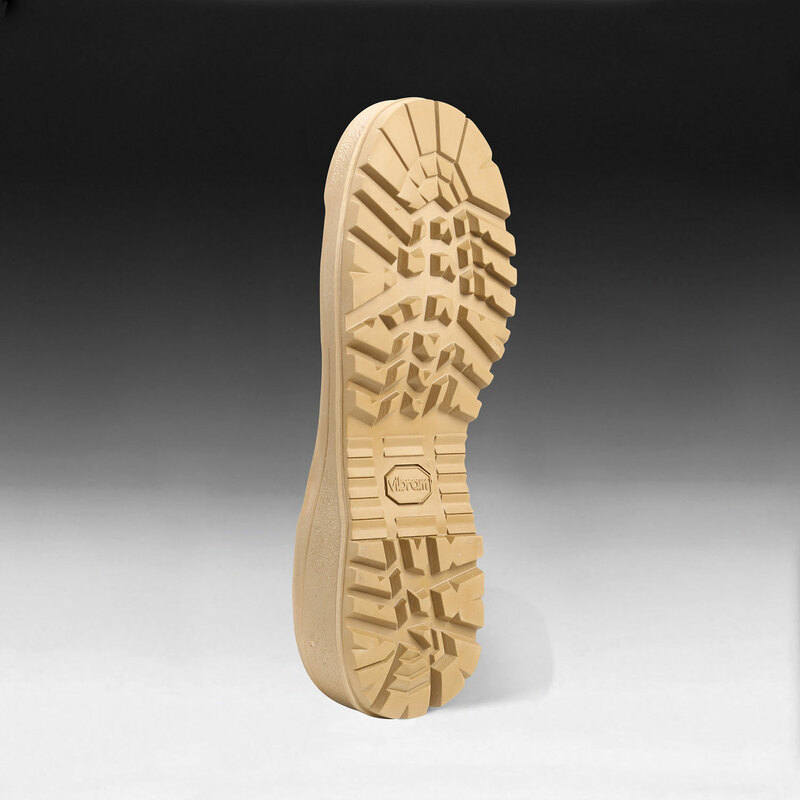 Designed for hot-weather wear with a highly breathable upper; and engineered for challenging terrain with a highly cushioned, shock-mitigating midsole. 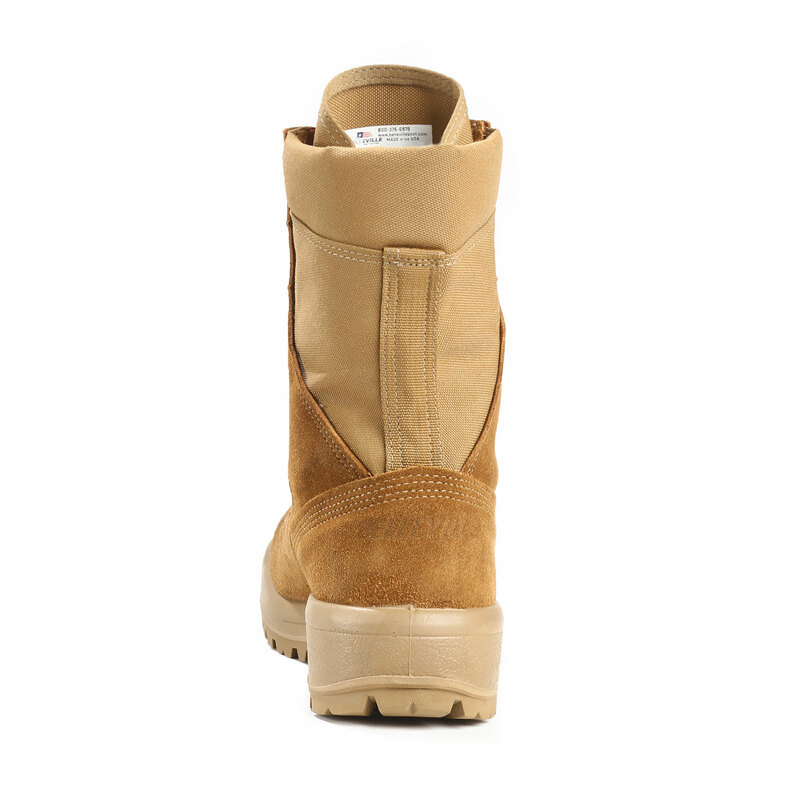 Built from cattlehide leather and nylon fabric, with running shoe sole construction for cushioned comfort and athletic feel.